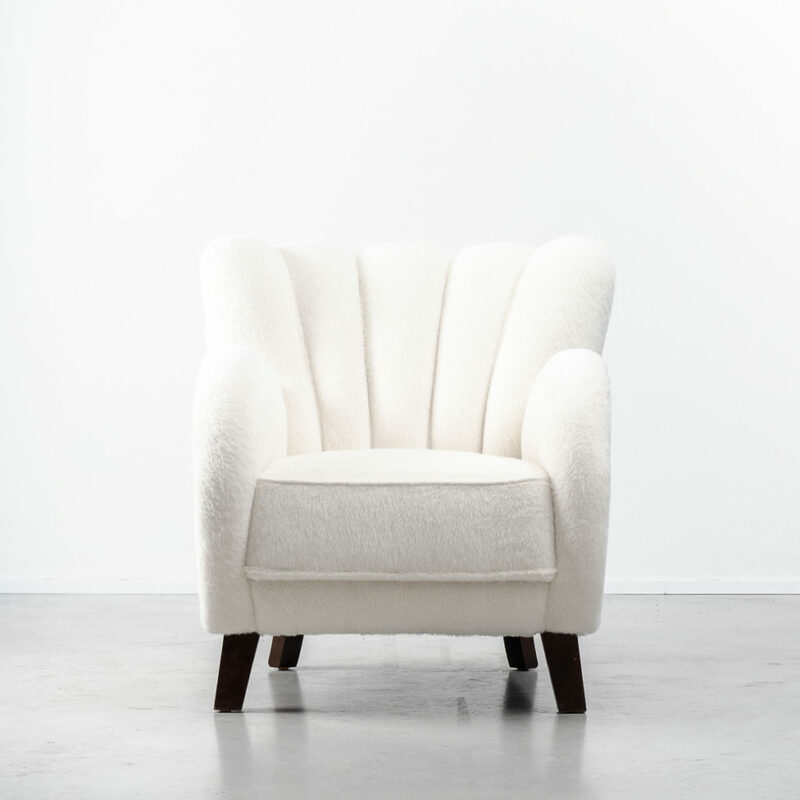 A beautiful 1930s Danish armchair. 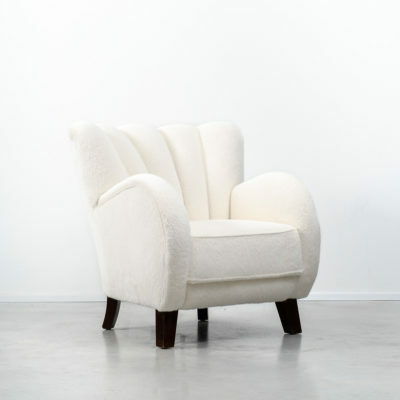 Reupholstered in luxurious Alpaca wool fleece by Sandra Jordan, with stained beech feet. 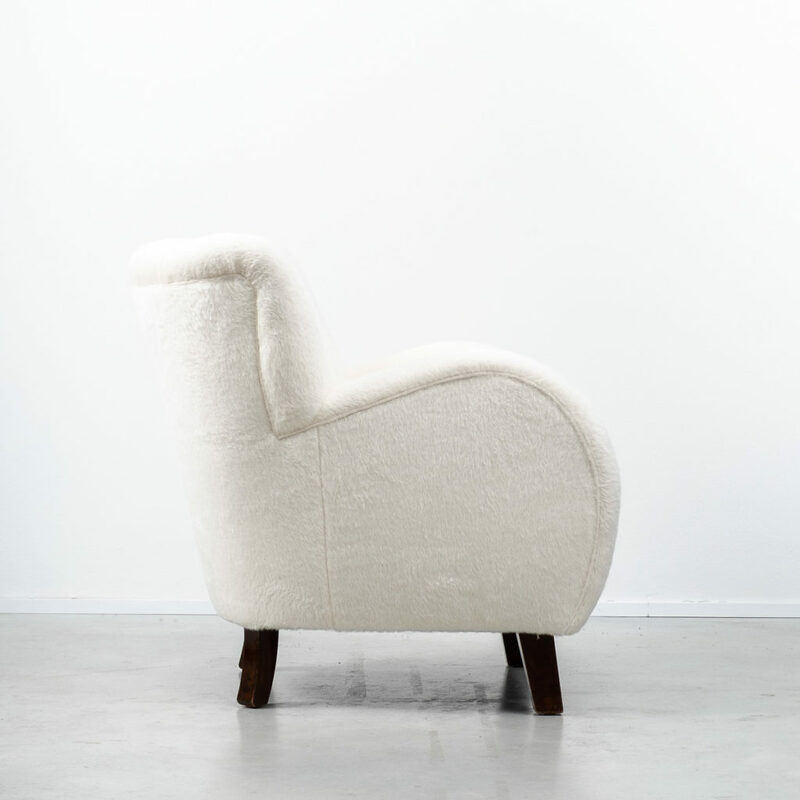 Probably produced by Slagelse Møbelværk, redolent of seating by the architect Flemming Lassen. 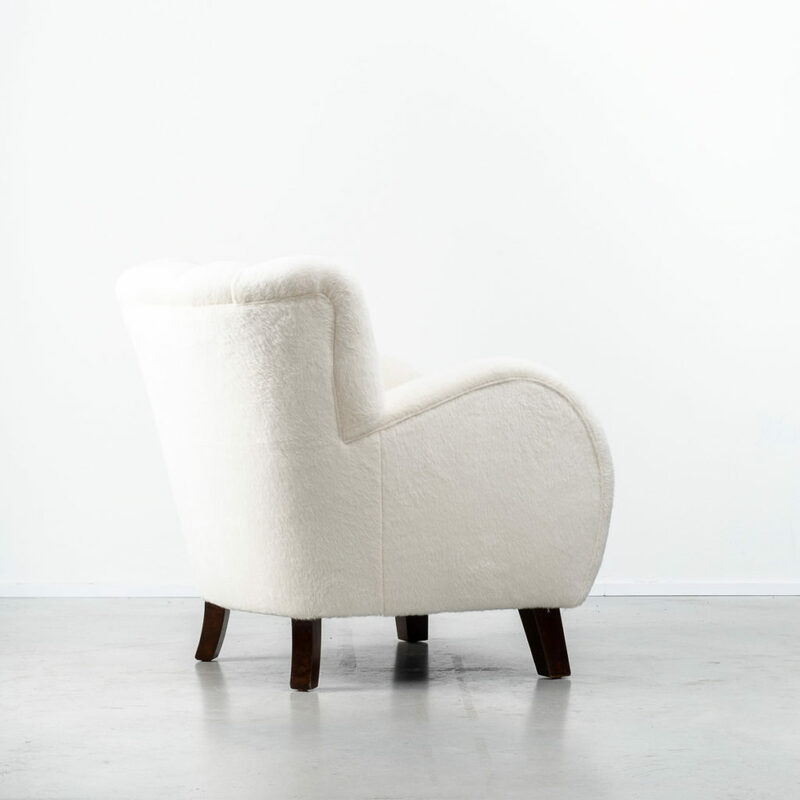 Armchairs and sofas like these were made during the 30s and 40s, as documented at the Cabinet Maker’s Autumn Exhibition 1935. 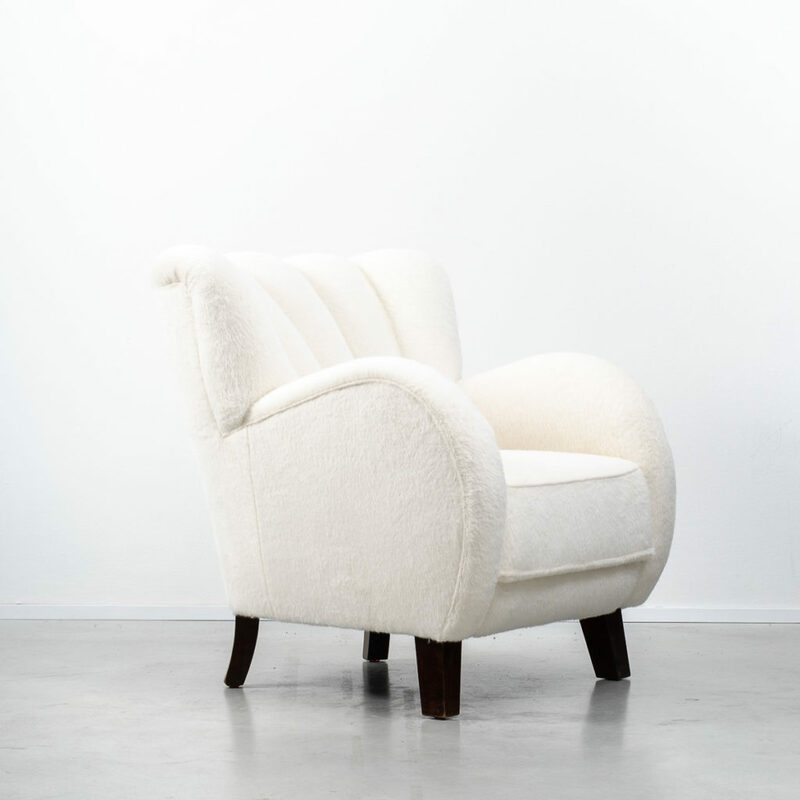 We have recently had this chair upholstered in an incredibly soft prima alpaca fleece. 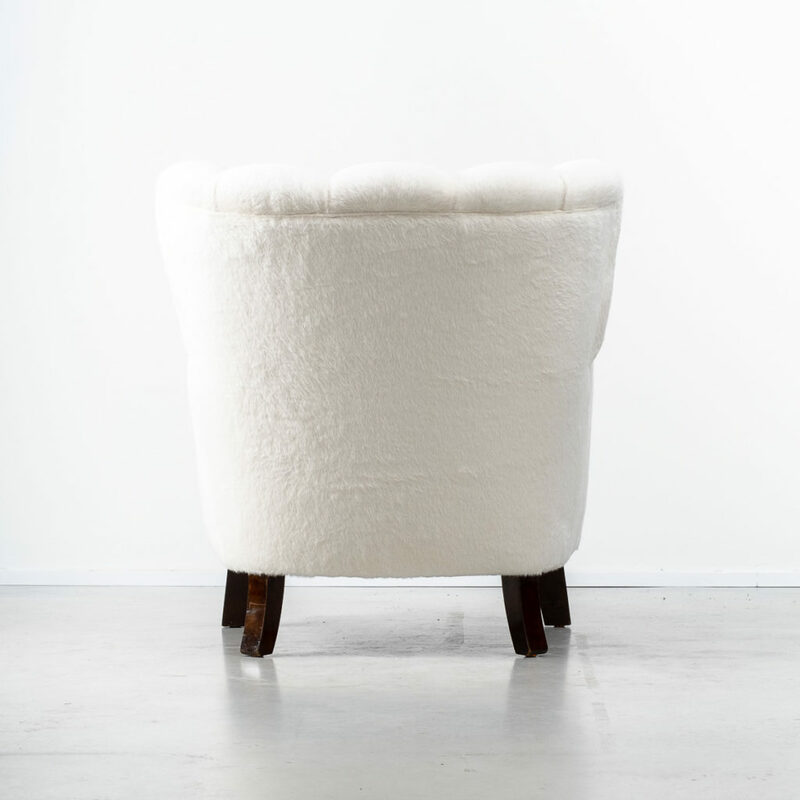 The fibres are glossy and maintain their lustre very well, with a natural stain resistance. 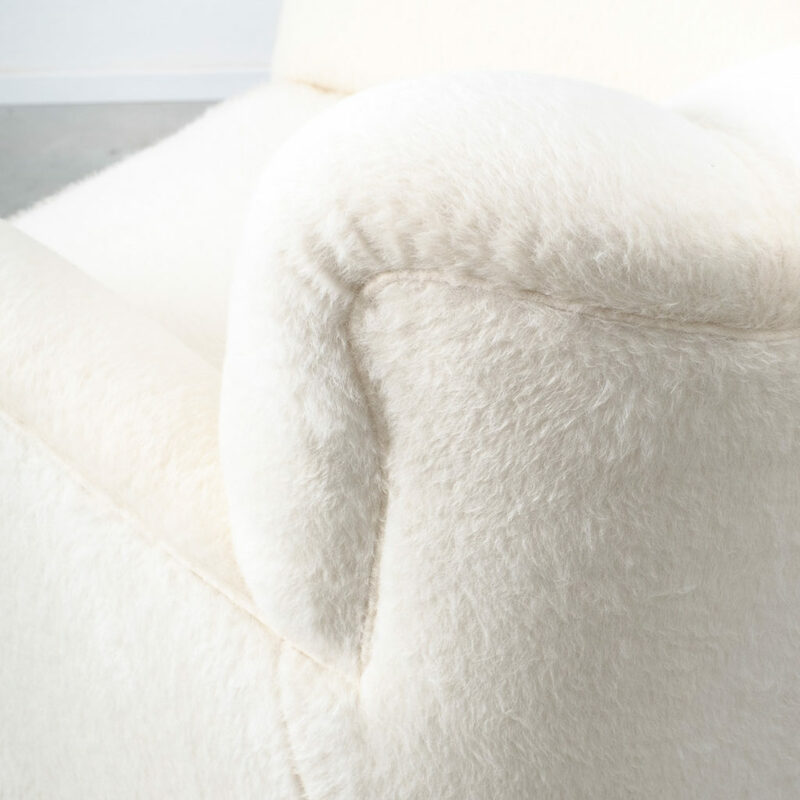 Alpaca is softer than cashmere – seriously cosy!